Guardian columnist George Monbiot has pulled apart the entire Tory culture that he says led to the Grenfell Tower fire in a new video by Double Down News. In it, he says the causes of the devastating fire that occurred on 14 June revolve around the removal of public protections, often referred to as ‘red tape’. And he argues that this factor should be considered by the inquiry into the fire. But as he insists, we’ll have to keep the pressure up if we want to see any justice. Monbiot believes there is a problem if the terms of reference of the public inquiry into the Grenfell Tower fire are too narrow. And he’s worried they won’t compel the judge to look at government action or inaction that may have led to the fire. This is about something much, much bigger… And the reason for this is that it’s the government which is allowed to set the terms of the inquiry. It is the government which is allowed to vet the chair of the inquiry. We don’t allow defendants in a criminal trial to determine which charges they’re going to be tried on. We don’t allow them to vet the judge. The government should have no role whatsoever in these decisions, because basically it is then being asked to judge its own failures. And that, it will never do. Monbiot describes what happened at Grenfell Tower as “mass murder”, caused by stripping away “public protections, which prevent lots of people from being incinerated”. Sir Oliver Letwin, Conservative MP who set up the RTI. Charles Moore, former editor of The Telegraph and former chair of Policy Exchange. Also Letwin’s best man. Archie Norman, former Conservative MP and co-founder of Policy Exchange. Greg Clark, Conservative MP, Business Secretary and former Communities Secretary. Michael Gove sat on the panel prior to becoming Secretary of State for the Environment. And he was the first chairman of Policy Exchange. Policy Exchange has on several occasions promoted deregulation. Monbiot believes that the RTI is using Brexit to create a “bonfire of regulation”. And he says one such consequence of doing so in the past was the repeal of fire prevention measures in the London Building Act in 2012. He states that, if they had remained in place, the fire in Grenfell Tower would probably not have spread like it did. (Link to article). A blog in The Spectator, for instance, argued that it was red tape itself that led to the Grenfell Tower fire. It claimed that “many buildings were renovated in a mad rush by councils eager to reach Blair’s target of making 95% of social housing comply with his Decent Homes Standards by 2010”. Regulation should indeed be smart. But the government’s policy of taking out two regulations for every one introduced seems like just abolishing regulation for the sake of it. Letwin once said “the call to minimise risk is a call for a cowardly society”, as part of a “Tory offensive against excessive intervention by government in areas where people should be allowed to judge for themselves”. It’s this culture of protecting business growth rates and profits at any cost which stands accused of causing the Grenfell Tower fire to be so catastrophic. Watch the documentary film here. 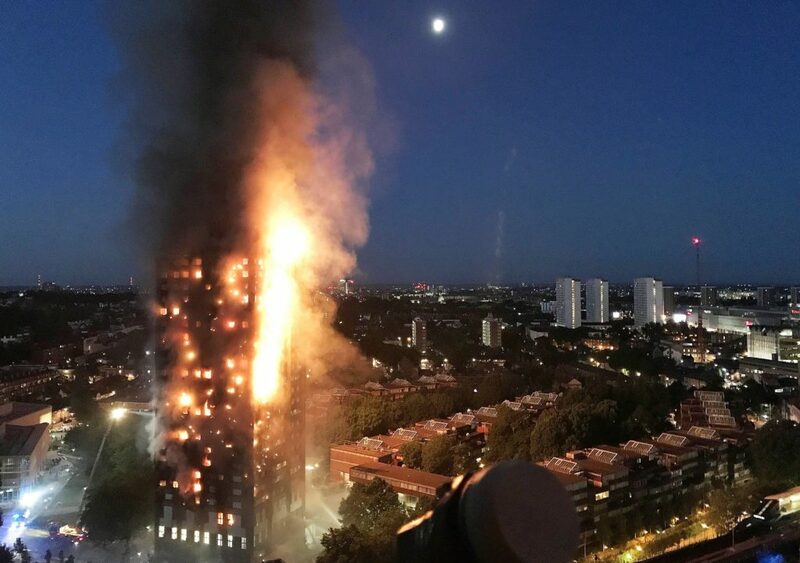 Journalist and Broadcaster, Sonia Poulton, explores the events following the Grenfell Tower fire in London in June 2017. Support these films by becoming a patron on Patreon. Grenfell Tower should not have been lived in. Why did Grenfell Tower burn? Regulators put cost before safety. Uncomfortable truths – survivors will not find justice. Yes Edinburgh West has a website, Facebook, Twitter, National Yes Registry and a Library of topics on Scottish Politics, including Democracy and Politics.